Published: Nov. 19, 2012 at 04:10 a.m.
(11:51) B.Leftwich pass deep left to E.Sanders to BLT 40 for 37 yards (C.Williams; C.Graham). Published: Nov. 19, 2012 at 02:25 a.m.
(14:29) B.Leftwich scrambles right end for 31 yards, TOUCHDOWN. 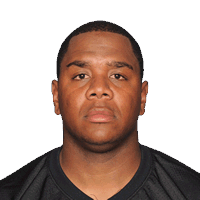 Published: Nov. 18, 2012 at 08:44 p.m.
Pittsburgh Steelers QB Byron Leftwich fakes out multiple Baltimore Ravens defenders for a 31-yard touchdown run for an early 7-0 lead in the first quarter. Published: Aug. 25, 2012 at 10:22 p.m.
Steelers wide receiver Antonio Brown gets his second touchdown of the day after catching a 39-yard bomb from QB Byron Leftwich early in the third quarter.